This is a Standard Wheel Installation Kit with 7/16 inch acorn wheel lug nut and locking lug nut pieces included. 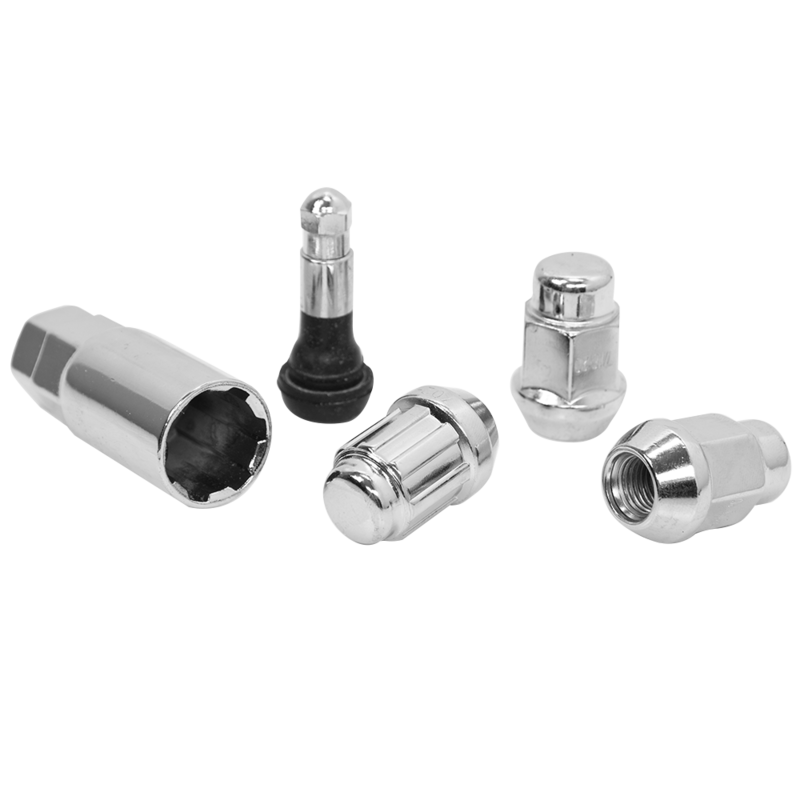 This standard installation Lug Nut Kit includes everything you need to install your new wheels, including valve stems, anti-theft lugs and compatible socket! What's in the box: 16 Standard 7/16" Acorn lugnuts (3/4” hex). 4 Locking lugnuts. 1 Locking lugnut socket. 4 Chrome/Rubber valve stems with caps. Speak to a Tire Expert for more information about your antique vehicle’s wheel and tire fitment needs.